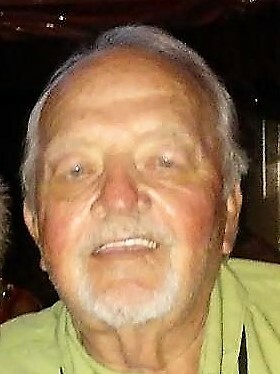 Charles Eugene “Charlie” Lukens, 75, of Kingsville, Missouri, was born, May 27, 1943, in Clarence, Missouri, the son of Cecil R. and Nola F. (Graves) Lukens. He departed this life, Wednesday, January 16, 2019, at the John Knox Village Hospice House. Charlie and his family moved to Northeast Kansas City when he was two years old. He was a 1961 DeLaSalle High School graduate. On March 2, 1989, he was united in marriage to Jill Ann Bowen in Independence, Missouri. Charlie was first employed as a Lineman for the General Motors Leed’s plant where he became an avid supporter of the United Auto Workers. He later left General Motors to become a full time employee of the U.A.W. He was first elected as Committeeman, then Recording Secretary, later serving out his career as the Financial Secretary. After retiring he continued his passion for the Union by serving on the State of Missouri Community Action Program (C.A.P) Committee. Charlie and Jill settled down in Kingsville and many years traveling the majority of the United States. For the past 10 years they have enjoyed being snowbirds by spending their winters fishing in the Florida Keys. He also enjoyed anything outdoors including hunting, fishing, and walking in the woods. Charlie was preceded in death by his parents. He is survived by his wife Jill of the home; his daughter, Laura (and Jean Pierre) Lukens of Avenel, New Jersey; adopted son, Shawn (and Lindsay) Patrick of Greenwood, Missouri; three grandchildren, Francis Pierre and Mariella Pierre both of Avenel, and Ridge Patrick of Greenwood; three sisters, Sarah Martino of Colorado Springs, Colorado, Mary (and Dave) Owen of Independence, Missouri, and Judith (and John) Galen of Ponte Verde, Florida; several nieces and nephews; other relatives and friends. A memorial service was held Monday, January 21, 2019, at the funeral home. Father Curt Vogel officiated. Memorial contributions are suggested to the C.A.P. Committee and may be sent in care of the funeral home.